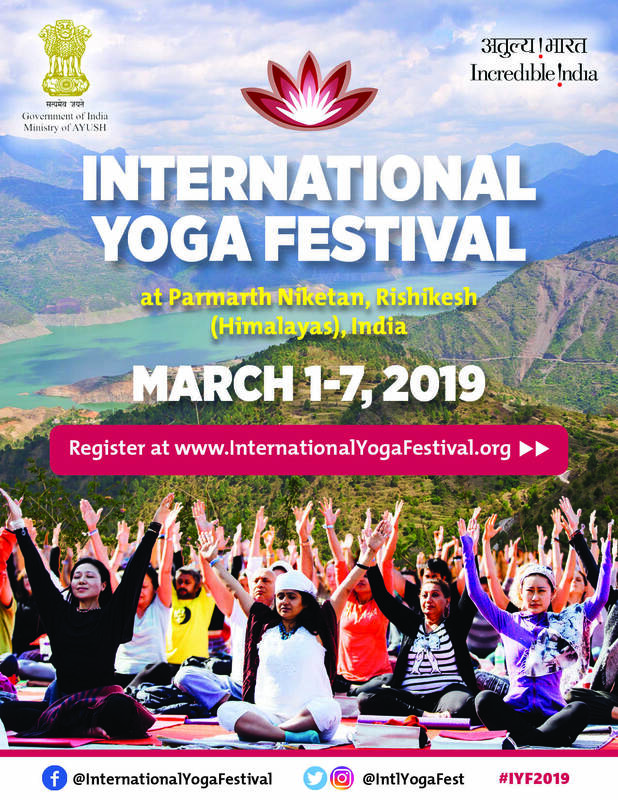 The International Yoga Festival (IYF) is being organised (March 1 – 7, 2019) by Parmarth Niketan (Rishikesh, Uttarakhand) in association with the Ministry of AYUSH. The Yoga Festival has become a global attraction and has grown tremendously since its inception. The festival attracted over 2000 participants from 100 countries last year. For more information on the event, please visit http://www.internationalyogafestival.org/ .